1. In large saucepan, sweat onion, carrot and celery in canola oil over medium heat until they are slightly caramelized. Stir frequently. Add sage and tomato paste and sauté for 1-2 minutes. 2. Sprinkle vegetable mixture with flour and combine to form roux. Heat for about 30 seconds. Add stock, Worcestershire sauce and garlic. Simmer for 35 minutes. 3. Season with rosemary, salt and pepper. Simmer for additional 10 minutes. Using immersion blender, purée gravy. 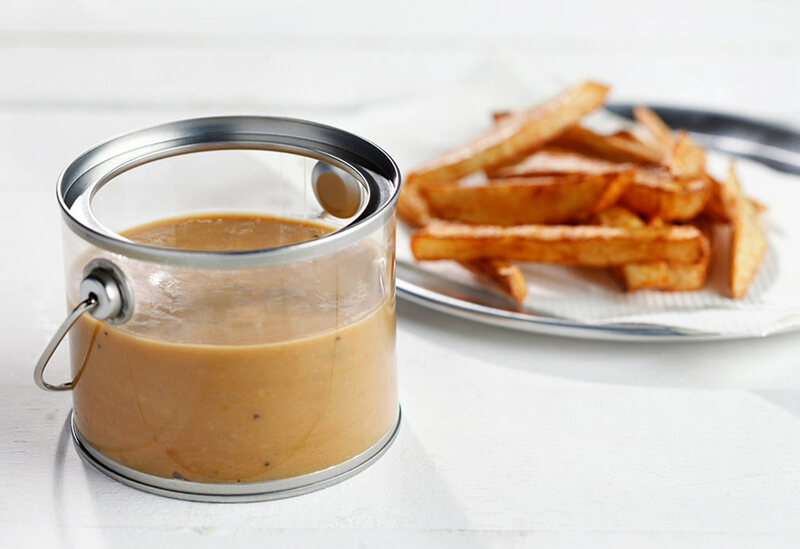 Leftover gravy can be frozen for future use. 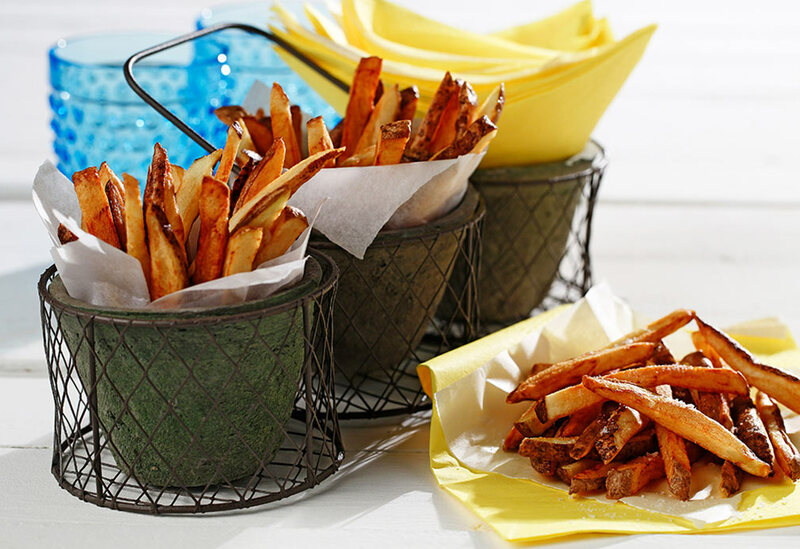 These French fries are a playful spin on a Quebecois favorite - lightened up with canola oil. 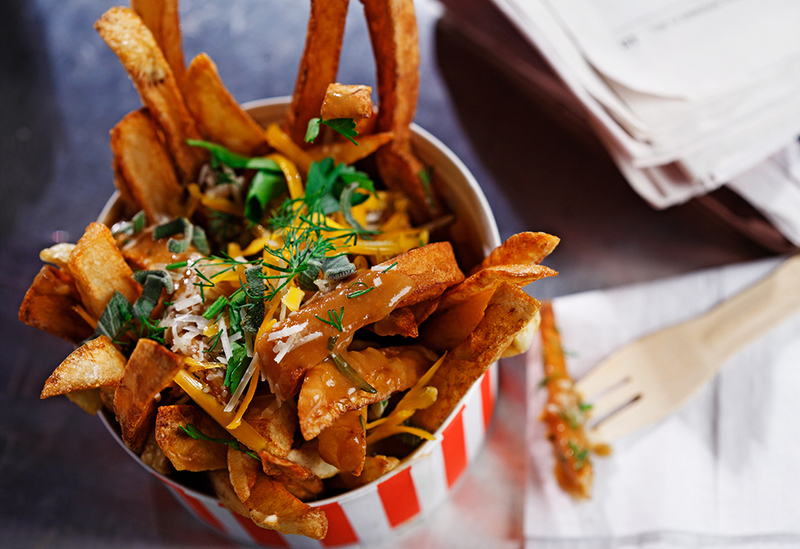 Traditionally made with cheese curds, poutine in this recipe features cheddar and Parmesan instead for sharper flavors. The secret to this deep-flavored dish is instant coffee, which “beefs” up the taste. 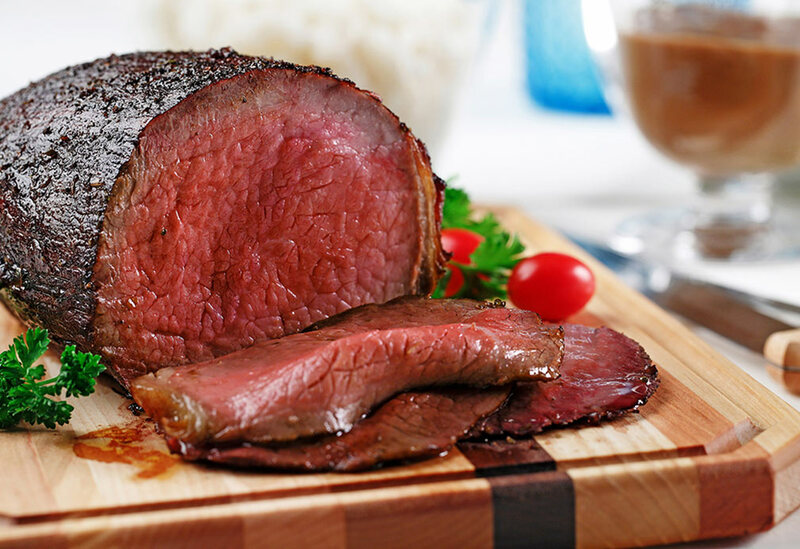 Canola oil’s high heat tolerance is ideal for browning the beef.